Size: approx. 10 mm. Photo: 09/04/11, noon. I believe this specimen belongs to the Potter and Mason Wasps. Probably the Red-Banded Mason Wasp Pachodynerus erynnis. 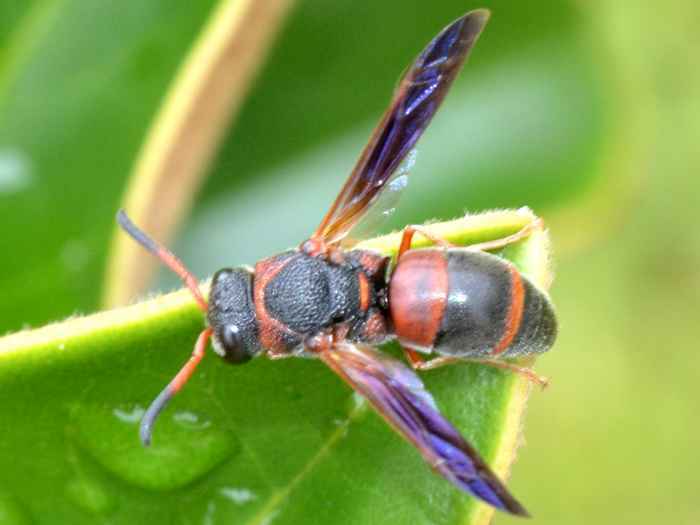 This wasp is common in the Southeastern US and often builds nests under the siding boards of buildings.